All catering is prepared fresh to order. If you are interested in something that is not our menu, please inquire and we will do our best to accomodate. Please provide 24 - 48 hours notice for most catering orders. 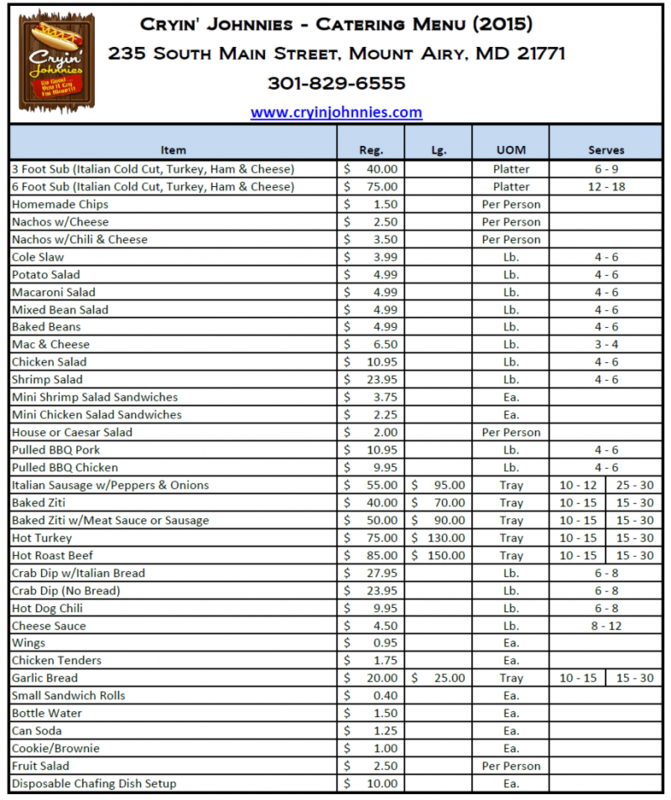 Interested in catering your event with Cryin' Johnnies Hot Dogs? 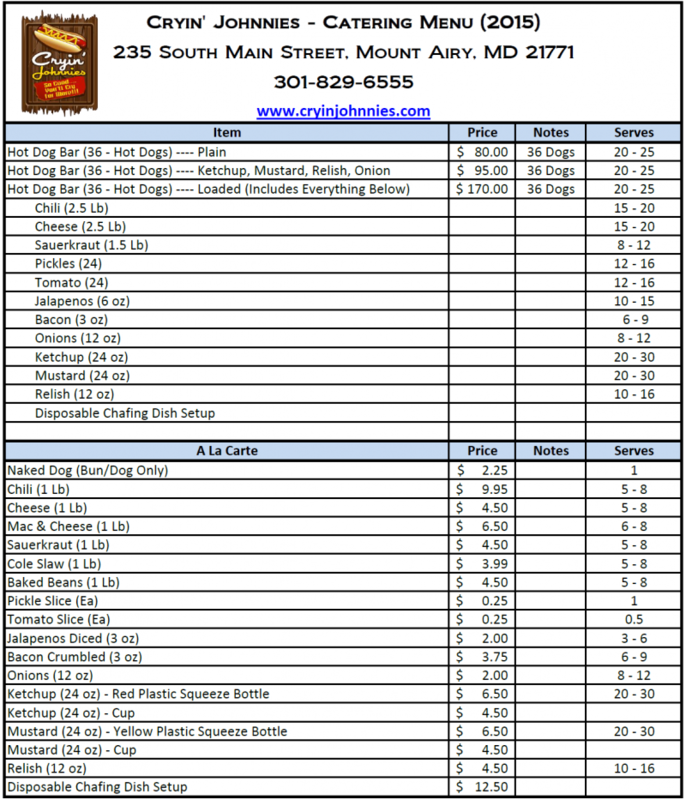 Please see our seperate Hot Dog catering menu. We offer both a full service hot dog cart and serve yourself hot dog bar.